Image licensed to The Court Jeweller. DO NOT REPRODUCE. 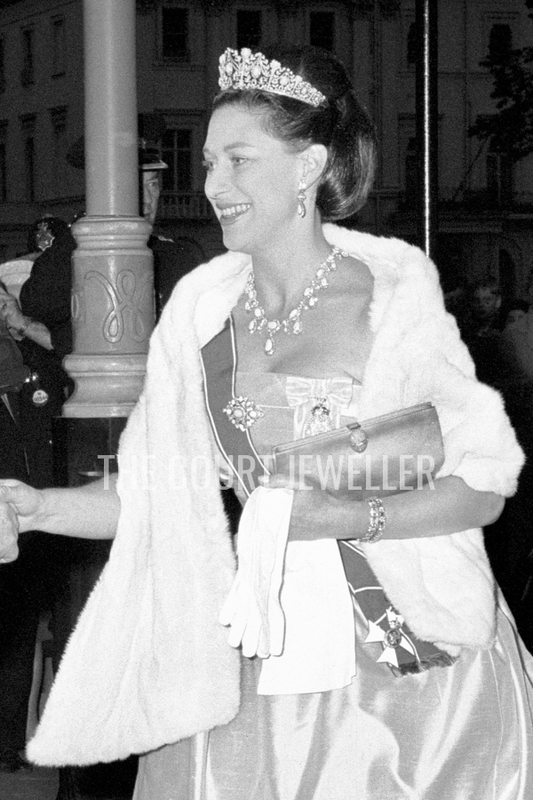 Princess Margaret, Countess of Snowdon wears the Persian Turquoise Tiara at a dinner for President Jonas of Austria at the embassy in London, May 1966; read about the tiara's history over here!